Winner Tammy Provost and Kallisto with Chicago Hunter Derby Sponsors. 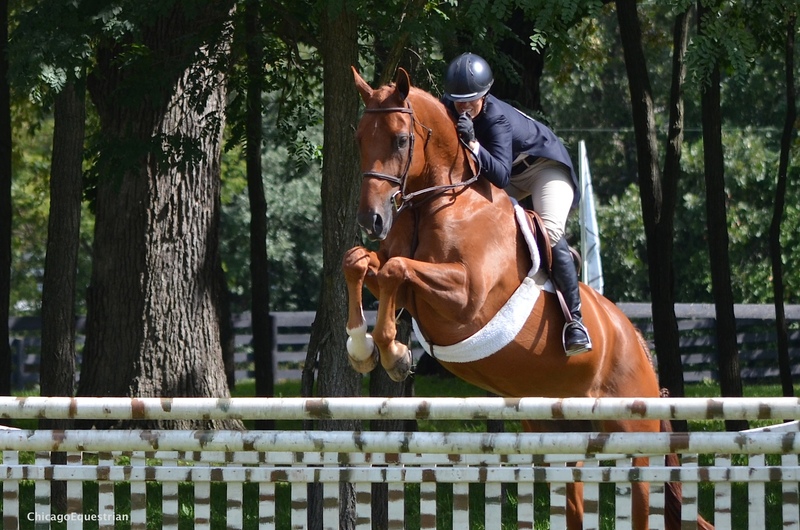 Antioch, IL – September 7, 2014 – The $50,000 USHJA International Hunter Derby is the highlight of the 2014 Chicago Hunter Derby at Annali-Brookwood Farm, showcasing top horses and riders from across the country while raising funds for charities. The Chicago Hunter Derby is a unique stand-alone event, currently offering more prize money than any other competition of it’s kind. The derby weekend is also one of the few derbies held in a grass field, imitating the days of fox hunting. This spectacular production would not be possible without the generous sponsorship of Canadian Pacific. Canadian Pacific (TSX:CP)(NYSE:CP) is a transcontinental railway in Canada and the United States with direct links to eight major ports, including Vancouver and Montreal, providing North American customers a competitive rail service with access to key markets in every corner of the globe. CP is growing with its customers, offering a suite of freight transportation services, logistics solutions and supply chain expertise. 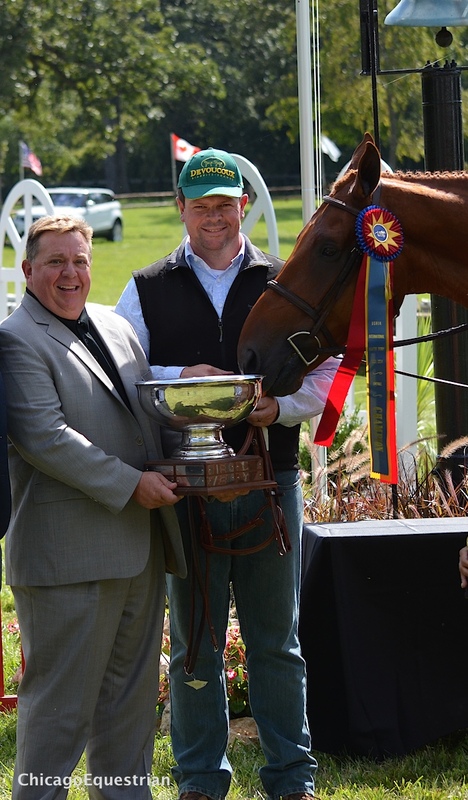 Wally Sieruga, General Manager of Operations from CP, was on hand to present awards to the top twelve horse and rider combinations. Wally Sieruga, General Manager of Operations from CP with Devoucoux representative shows Kallisto his award. In addition to the derby competition, activities of all kinds were taking place to raise funds for three charities, the United States Hunter Jumper Association Foundation (USHJAF), University of Chicago Cancer Research Foundation and Ann and Robert H. Lurie Children’s Hospital of Chicago. Chicago Equestrians for a Cause is the organization responsible for organizing the event and raising over $400,000 to date for the charities. Special activities included raffles, silent auction items and a Calcutta, which is where horses and riders are grouped into teams and auctioned to the highest bidder. The lucky bidder, who had the winning horse on their team, won half of the combined dollar amount from all the teams with the other half going to charity. The Score 90 Challenge, a new fundraiser for the derby this year, made use of a Canadian Pacific railway bell. The bell is a family heirloom of the farm owners, Rush and Caroline Weeden. The Score 90 Challenge invited barns, businesses and groups of individuals to pledge a dollar amount for every score of 90 or above issued by the judges. When a qualifying score came in, the railway bell chimed signaling more funds raised for the charities. The crowd caught on as the top riders toward the end of the class tried to out due each other, racking up seven scores of 90 or better with the crowd cheering them on then holding their breath waiting for the scores. The Score 90 Challenge raised close to $9,000. Tammy Provost and Kim Calamos' Kallisto. The big winner of the day after two rounds of competition was Tammy Provost of Sheridan, IN, with Kallisto, owned by Kim Calamos. Kallisto is a thirteen-year-old Belgium warmblood gelding that Calamos shows in the Adult Hunter division with trainer Lynn Jayne of Elgin, IL. Provost and the talented horse rang the bell twice with their scores in both of today’s rounds, adding up to 90’s or better for the win. Provost also won the $7,500 Welcome Stake class on Friday with Libretto, owned by Alliy Moyer along with numerous other ribbons on her other mounts. Provost has come to the Chicago Hunter Derby every year, now in it’s sixth year. Provost had the lead by .5 points after the first round with a score of 179.5. Russell Frey and Debbie McIntyre’s Cavalli finished the first round in a close second with 179. Provost took third with another of her rides, Santerno, and eighth with Harko. Top derby rider Jennifer Alfano of Buffalo, NY, had her two mounts, Jersey Boy and Maggie May, in the top ten and Caroline Weeden of Antioch, IL, had her two horses, The Spy and Cucinelli, in the top ten. Maria Rasmussen with Quite Chocolate and Molly McAdow with VDL Zingaro H rounded out the top ten. Eighteen of the original twenty horses returned for the handy round. Caroline Weeden and The Spy were second in the USHJA International Derby. Caroline Weeden was determined to move to the head of the class, demonstrating her handy turns and galloping between the jumps, landing her a score of 202 on The Spy to take the lead and the handy round win. Provost was right behind with Kallisto, scoring a 196 and her Santerno with a 195. Once the overall scores were calculated it was Provost with Kallisto in the top spot and Weeden with The Spy, owned by Glory Days Farm, in second. Provost's Santerno, owned by Brenda Christensen, was third. Awards were given for the Leading Amateur rider and the Leading Junior rider in the International Derby. Alliy Moyer of Carmel, IN won the Amateur Award and Clare Sargent, Cedar Grove, WI, won the Leading Junior Award. 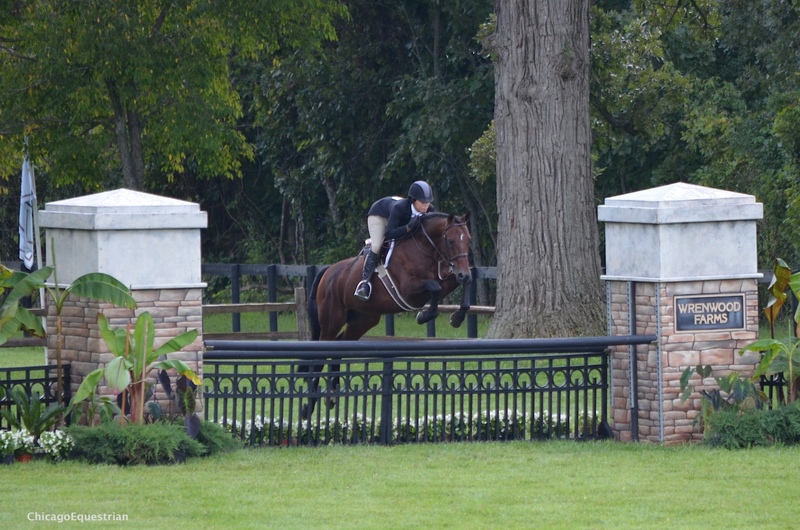 Members of Chicago Equestrians for a Cause organize and present The Chicago Hunter Derby. 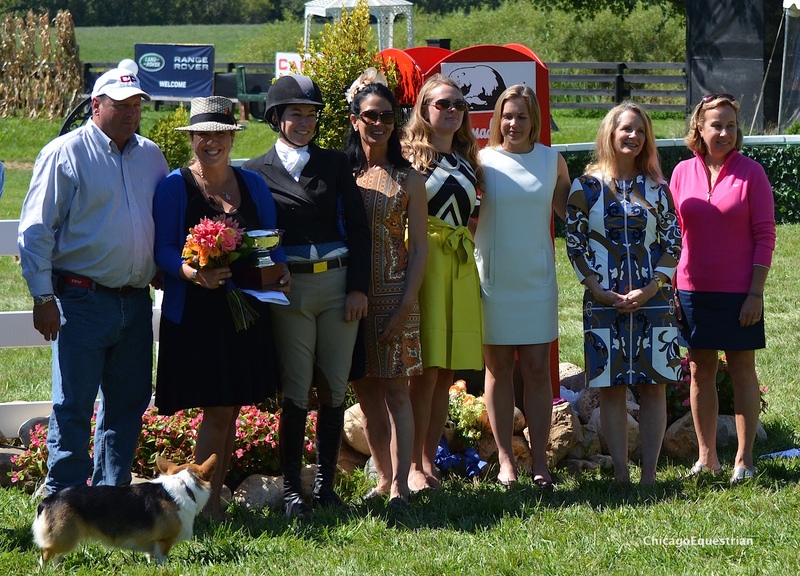 During the Opening Ceremonies, the leading Junior and Amateur riders from Saturday’s USHJA National Hunter Derby were awarded special prizes courtesy of Liza Hennessey Products. Amanda Williamson of Evanston, IL, won the Amateur Award and Nicole Loochtan, Hawthorn Woods, IL, won the Junior Award. Michelle Durpetti of Chicago, was awarded the Marion Maybanks Volunteer of the Year award. Durpetti’s company, Michelle Durpetti Events, is the major organizer of the social side of the event, spending countless hours pulling it together. Chicago Equestrians for a Cause co-founders Lynn Jayne, Elgin, IL, and Caroline Weeden, Antioch, were recognized for their contributions and committee members Margaret Benjamin and Kimberly Penfold along with Board members Sterling Berry and Rush Weeden were also recognized. Show manager and course designer, Bobby Murphy, Lexington, KY did an incredible job shifting the course and adjusting the schedule over the weekend due to some excessive wet weather and announcer Brian Lookabill did an amazing job keeping exhibitors and spectators informed and entertained. Guests at the Chicago Hunter Derby had an enjoyable day with perfect weather, Vendor Row equestrian inspired shopping, a delicious brunch, open bar by Constellation Brands and Angel’s Envy Bourbon and kid’s activities sponsored by Rice Dairy. For more information on the event or sponsor opportunities, please visit the website atwww.chicagoequestriansforacause.com.